Down to the smallest part of our environment is 'home' for living organisms. 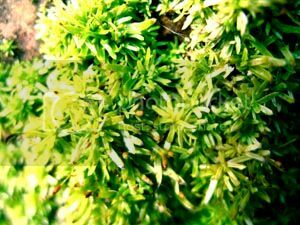 If one can't respect moss ... then what is 1,500 acres of virgin forest? The second commentor provided the lyrics for the calypso "Progress" by King Austin - definitely worth reading to see the truth that the old man has penned: "... the price of progress is high, real high. I see consciousness abate, As today we live recklessly, Money makes egos inflate And thereby creates a turbulent state." As I read those lyrics I thought of something my mechanic said to me the other day. The morning we spoke on the phone, I had arranged with a forester to go to Toco to get some video footage of Forestry Division felling a tree (I didn't go in the end due to rain and cancallation of the felling). My mechanic asked me why I wanted the footage and I told him I was working on a short video to make a particular environmental statement. He said: "Girl, I like what you're doing ... but people will just look at that and see entertainment. How many will actually get the message and do something?" I don't think he is being pessimistic or that he is trying to deter me. What he has said has truth to it. When I read Austin's lyrics I thought about what he had told me . I thought "Most people see this calypso as entertainment. How many of us really listen to such lyrics and question our actions or experience some shift in consciousness and behaviour?" I don't think all is lost. Messages of awareness and positive energy are like drops of water on rock. The noise and chaos of modern civilisation is a tusnami ... which was once also just a drop. Well, I don’t know if people here are tired, and if they are, whether they are in the majority or not, but the wonderful news is that there are people around who do cheer collectively and have their faith restored when a song like King Austin’s Progress comes along. Don’t despair. In this life, if you want to work for good, you can do either of two things. You can be an instrument of peace by either being a peace channel yourself or a keeper of peace channels. By that I mean, you either go out and change things with your bare hands or you nurture and encourage and defend those who do. Guanaguanare didn’t compose this song but is keeping the peace channel open by sharing it with others. The forests are not disappearing only because of other people’s greed. We are allowing them to disappear by our passivity. The animals are not being decimated by some invincible force. We are not coming out to stop the slaughter. Your focus on Detta Buch is peace channel keeper work. You are helping her and helping others to be encouraged and inspired. Those working against love and nature are very busy and abrasive and loud and the results of their actions can stun and dismay and immobilise. It is easy to come to the conclusion that they are in the majority and that there is no hope. Be encouraged. Be convinced that your work is not in vain. St. Francis of Assisi was also a lover of all creatures and understood the need to cherish Nature. He wrote a beautiful poem called Canticle of the Creatures, also known as Canticle of the Sun, in which he expresses this reverence for all of creation. The following poem was also written by St. Francis and from it I get the message that instead of hand to hand combat with the evils in our society, there is another way to diminish that which is destructive and that is by increasing the presence of good. Your path is an honourable one. there is neither anger nor disturbance. there is neither covetousness nor avarice. there is neither anxiousness nor dissipation. there the enemy cannot gain entry. there is neither excess nor hardness of heart. Well said! I share your sadness. The human spirit and body knows instinctively where it belongs. As you said, we are just too busy to look up and around to notice how much we are losing in the name of progress. What you said about how you feel when you are in the natural environment reminds me of when we were children and were taken on outings to the seaside, I remember being overcome by emotions that at that time our little bodies would vent via a series of wild bird-like shrieks and whoops as we pelted down the beach towards the water, bounding, leaping, dancing, pirouetting, tumbling, laughing, beside ourselves with joy as we fell into the water’s warm embrace. We were coming home. It was the laughter I remember. No one was making a joke. No cartoon character on a television screen was being pushed off a cliff. No one was giving us new toys. Our spirits were just spontaneously singing and laughing and completely engaged because we were where we knew we belonged. Now that I am older, I am less vocal in my appreciation, probably because I was introduced to decorum, but it never goes away, that excitement at the first glimpse of sparkling blue and then the calm, the deep, perfect calm that descends upon me as I walk along the shore, listening to the waves, feeling the breezes, experiencing all the familiar sights and scents. Perhaps you know this poem which tries to capture that fateful moment when Christopher Columbus made landfall in the Caribbean and the destinies of both the indigenous peoples and the “discoverers” were changed forever. My Amerindian ancestors would have experienced something of this and much more but any Trinidadian today who mourns the loss of a gentler way of life, will find him or herself in it. Commingled noise: looked up; and gasped for speech. And fluttering coloured signs and clambering crews. Slant to the shore, and all their seamen land.